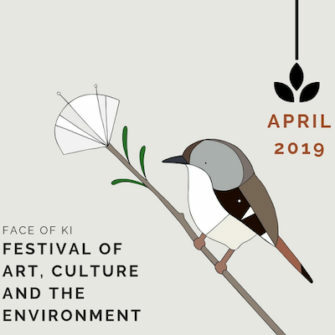 This autumn, we are also combining with the King Island Council and Cultural Centre to undertake the inaugural Festival of Art, Culture and the Environment (FACE) of King Island. 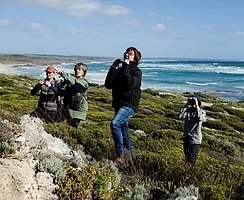 This initiative has a primary aim of raising funds for conservation works on King Island. This year the theme is “Birds in Our Lives” and funds will go towards the Wings on King project that is currently unfunded and driven entirely by volunteers. We strongly advise early bookings for flights and accommodation. As well as wonderful birds, King island also has two world renowned golf links, so flights are inclined to become booked well in advance. WE LOOK FORWARD TO WARMLY WELCOMING YOU TO KING ISLAND…. PS: If you can’t make it in April, the Wings on King 2019 Spring surveys, will be held on the 2nd weekend of November – 14th-17th.